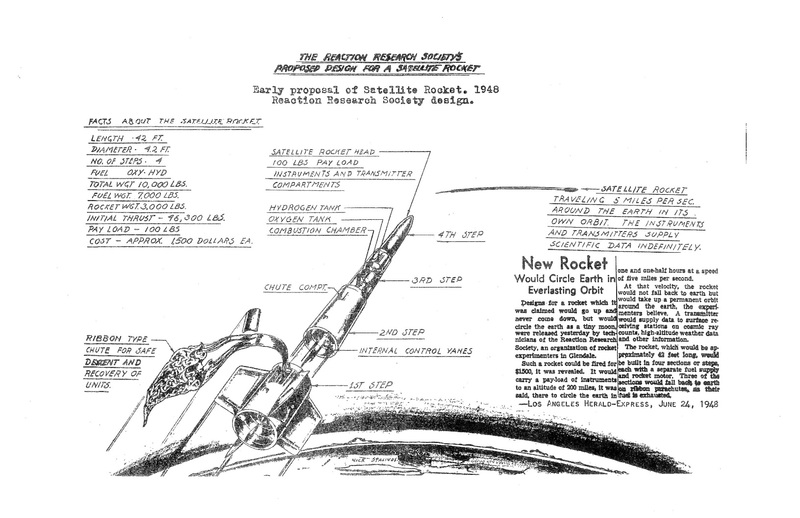 In 1948 the RRS proposed to build a 4 stage Oxygen/Hydrogen rocket capable of delivering 100lb to orbit. Now Thats ambitious! Obviously the project never came to fruition or else Aerospace History might look very different. An armature orbital launch vehicle, such as that, would be crazy ambitious even today let alone back in 1948. Although, I do believe an amateur launch vehicle is within the farthest reach of “amateurs.” It would have to be something similar in scale to Copenhagen Suborbitals. Good news! I’ve been in need of a way to edit PDF’s so I could edit the scans I’ve made of RRS newsletters to get them ready to post in the members section. I had recently found Libre Office,and the draw program was working except for one problem. The text that come up from the scanner’s optical character recognition (OCR) was laid over the images of the page themselves instead of being invisible. After a lot of fruitless attempts I finally found a solution that will let me edit the PDFs and keep the OCR in the documents. I just had to move the page image to the foreground, obscuring the text but still letting it be selectable and searchable in the final PDF. And now I’m finally done. I’ve uploaded the 5 newsletters which you can find in the RRS Newsletters section. (You need to be logged in as a member to actually download them.) I also was able to repair the PDF of “Vol. 53, #4 December, 1996”. It was missing some pages. Its not a perfect repair. For two 2 of the missing pages I only had low quality black and white scans, but I was able to import the colored version of the pictures on those pages from the “High Power Rockery” magazine version of the article. It was pages 15 and 22 if anyone is curious. I also edited and uploaded the text that the RRS printed to accompany the RRS composite propellant class. That’s under Other RRS Articles. (again you’ll need to be logged in.) I was also be able to piece together an interesting old newspaper article on a RRS proposed satellite launch vehicle. I’ll be posting that here on the sight soon. Now that the new site is finally up I want to start working on bringing back the news letter. I’ve got a template ready to go. And I’m working on 2 articles that I’ll put in the first issue. (one on the static test of a gaseous propane and oxygen engine and one on the static test of a potassium nitrate sugar motor)I also have a few more planned for latter issues. I’m issuing a call for anyone interested in getting published in the RRS newsletter. Let me know if you are working on something or if you need some help.